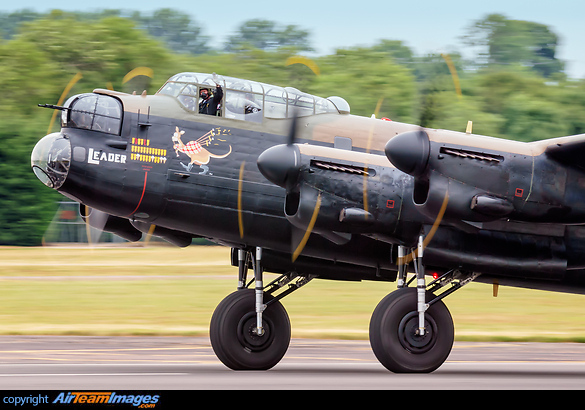 The Lancaster was developed from the Manchester and became one of the outstanding aircraft of WWII. Mainstay of Bomber Command's night offensive against Germany the 'Lanc' was also used on many special operations including the Dam Busters raid. 4 x Bristol Hercules (1290 - 1735 hp), Packard Merlin (1000 - 1280 hp) or Rolls Royce Merlin (880 - 1315 hp) piston engines.